Have you spent the last week thumbing through your college catalog, in search of the perfect career path for you? Have you been able to narrow down your choices, but you have found that you are still overwhelmed at the options and what they will make available to you in your future? Have you been able to eliminate a career path in the ever-popular medical field? If you said yes to each of these questions that pertain to your future, then maybe you should flip to the section in your college catalog that contains degree programs in the field of public safety. If you think that the field of public safety will appeal to you and your professional goals, then you will definitely want to continue reading so that you can learn about potential options that you may have. 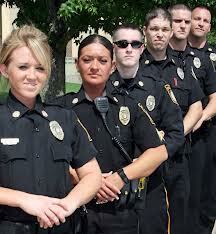 Start your public safety degree today. Be sure to research the top schools listed on our site. In the world of public safety you will be qualified to work within certain governmental agencies, at the state, local, or federal levels. No matter which of these levels you decide to become employed within, you will primarily be working to protect a community's safety and health. For instance, you could work within an area of animal control, emergency management, emergency medical care, or fire and rescue. One specific career option is to become an animal control services manager. In this capacity you will be responsible for ensuring that an agency is following all laws and regulations as mandated by the state, for supervising staff and facilities, and for enforcing the rules and regulations as they apply to the animals and their care. Or, perhaps you would be better suited as an emergency management director. In this position you will be the main person in charge of coordinating how to best respond to a disaster with regards to local, federal, and state organizations and government entities. For example, you may be in charge of designing and developing a plan for how a specific area should respond to instances of terrorist attacks, hurricane evacuations, hostage situations, or other emergency occurrences. Another possibility would be for you to secure a position as a director of emergency medical services. In this capacity you would be responsibility for the administrative aspects, the operational factors, and the financial factors. Ultimately, the facility's success will be largely aligned to your ability to handle each of these aspects in a consistent and positive manner. If the area of fire science is intriguing to you, then perhaps a position as a fire chief would suit your goals. In this position you would be expected to take care of all administrative and operational tasks as they relate to a specific fire house. For many of the professions within the industry of public safety it may be common for you to be required to work irregular hours, weekends, or maybe even holidays. In addition, you can likely expect at least some degree of travel to be required as you complete the daily responsibilities of your job.